Details surrounding the trial of Air Marshal Adesola Amosu have become available, with reports indicating that the ex-Air Force Chief has returned N2.6 billion in looted funds to the Federal Government. 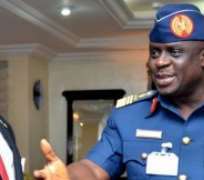 According to a Naij report, Amosu was charged with money laundering in the amount of N21 billion from the Nigerian Air Force (NAF) and allegedly concealing “proceeds of crime”. After having pleaded not guilty to the charges, Amosu has cooperated with Government officials and has since been released on bail . The development follows on from the seizure of 29 properties belonging to ex-Air Force Chiefs, including a hospital, houses and equipment.